Patience lives in the Gokwe district, in the north west of the country. I was slightly concerned about the trip to Gokwe: anyone I mentioned it to gave me a look of sympathy, mixed with a certain glee, at the prospect of the journey I was in for. I now know why. It’s a vast district, remote and quite sparsely populated. Cotton has been the key source of income here in the past, but the region suffers regularly from both drought and heavy flooding. This has been a particularly difficult year. 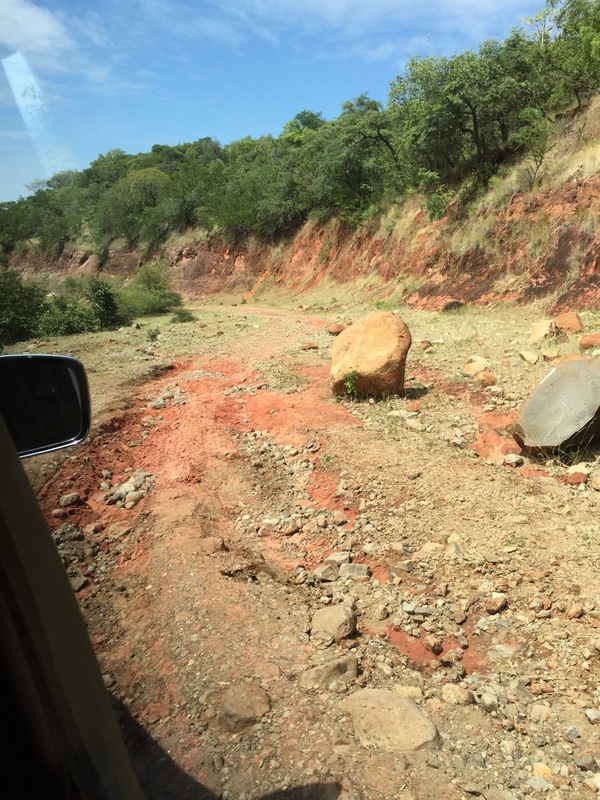 The few roads that do exist are in the worst condition of any I’ve yet encountered in Zimbabwe. Many are unpaved mud-baths; those that did at one point have tar are worse, since they’re now more pothole than surface. 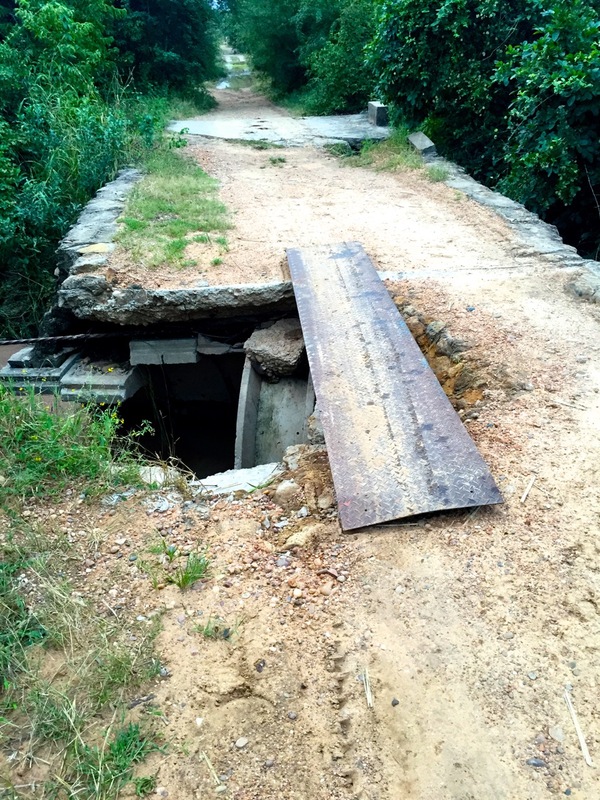 The low point was the half washed-away bridge: on what remained, someone had improvised by placing a narrow sheet of metal. We just about fitted on, in our 4x4, but with only inches to spare between us and the 8ft drop on either side (I very magnanimously opted to get out and direct the driver, but was accused of having ulterior motives…). It was a pretty laborious 3 or so hours, but we made it, and were welcomed by Patience into the shop she had established in her local community. 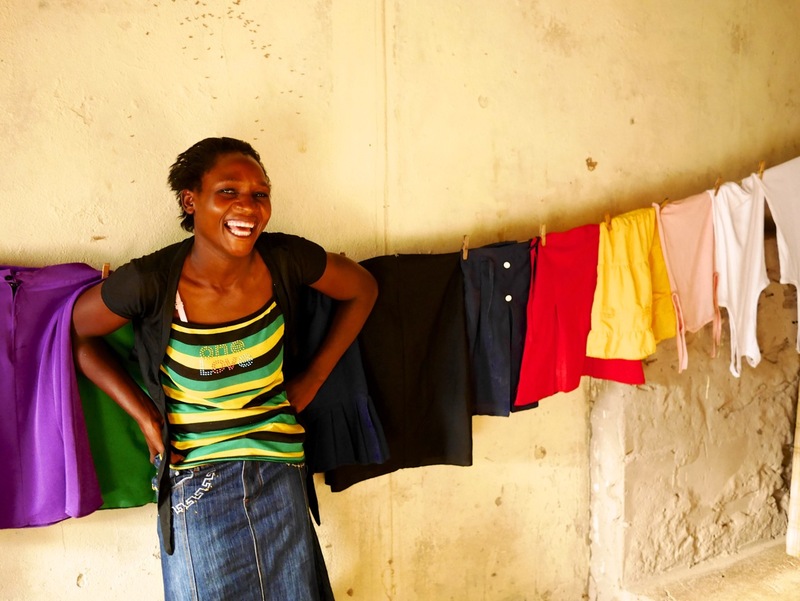 With a $500 loan, through Kiva’s partner Camfed, she’d created a popular place for neighbours to buy groceries and some basic clothing. Transport of stock was a challenge, given the roads (she had to negotiate them in the daily public minibus, without the luxury of a 4x4). But despite the difficulties, she’d made it work, at one point bringing in revenues of up to $100 a day. Her real problems, though, actually lay closer to home. Earlier this year, her husband decided to leave: as a parting ‘gift’, he broke into the shop and stole both stock and cash. Despite the pain she was feeling, Patience tried to keep going. She contacted the police, who managed to obtain his confession and agreement he’d repay the debt. Instead, however, he returned, and this time didn’t stop at just stealing. I won’t go into details here but, suffice to say, it proved the final straw and actually culminated in Patience attempting to take her own life. At this point in her story, holding back tears, she handed over to her close friend, who described to me the horror of the 4 hour trip to the nearest hospital and the next two days’ frantic efforts by doctors to save her life. Thankfully, she made it through. I tell this story (with Patience’s full agreement), not for dramatic effect and not for your pity. I tell it because I want to show the resilience, the strength and the courage that I have witnessed here, and elsewhere. Because Patience’s story doesn’t end there. 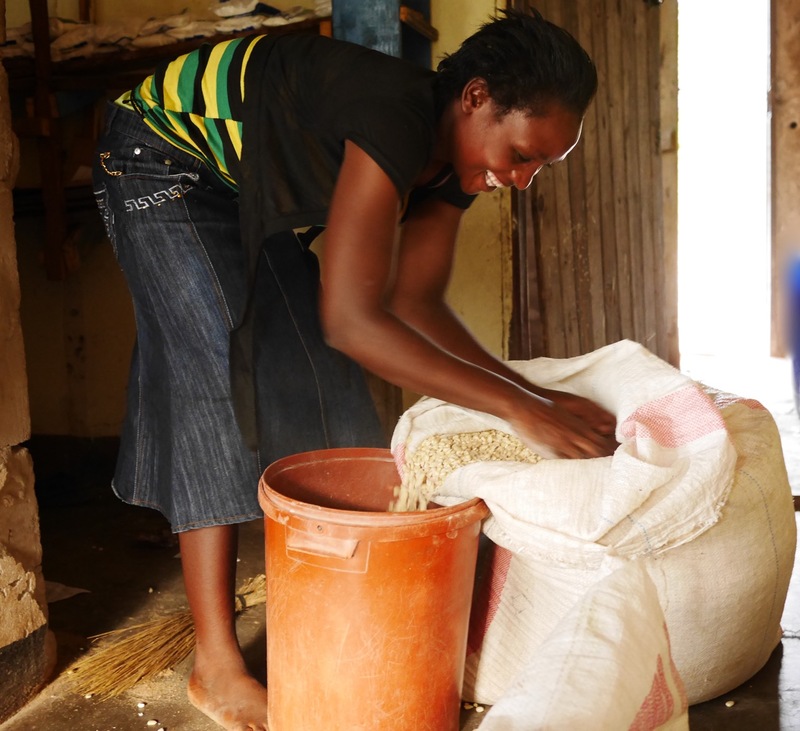 With the help of her close friends and neighbours, she came back full of renewed determination. 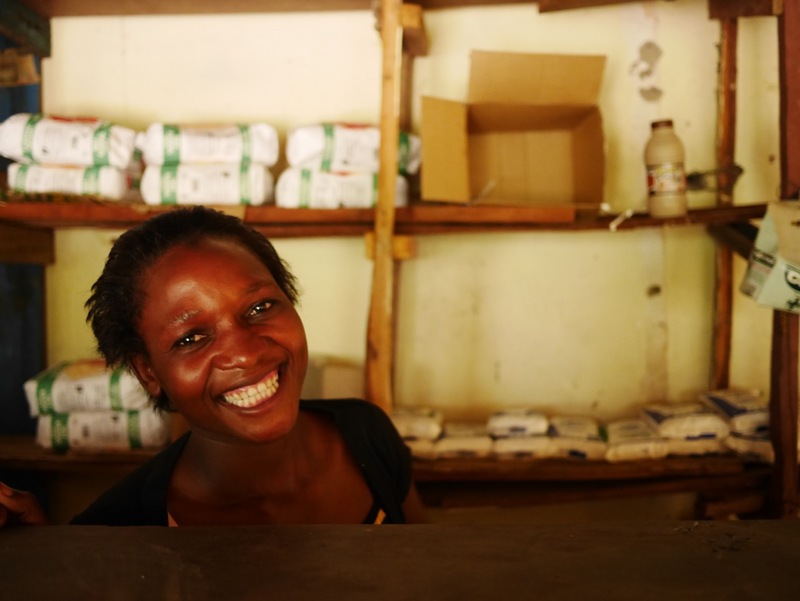 With the small amount of money she had remaining, she started to restock the shop and to start rebuilding her life. By the time I met her, she was back in business. She explained, with some embarrassment, that the shop remains fairly sparse, but that she is surviving and intends soon to get back to where she was. 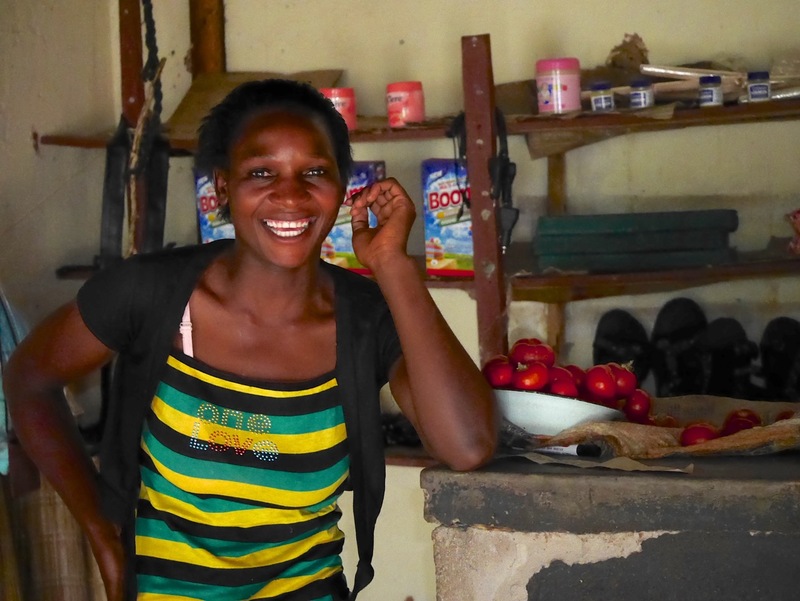 With the profits she is making, she has been able to fund school fees both for her own two children, and for her four nieces. And although she is behind with her loan, she is still faithfully working towards full repayment (she now has only $100 left to go). Most importantly, as you can see from the photos, Patience is smiling and laughing again. She was keen to tell me her story, but she was soon back joking with us behind her counter. Seeing her like this, it was hard to believe the ordeal she’d been through. It was inspiring to see how her business has enabled her to become independent and to extract herself from a life threatening situation. I’d been slightly dreading the journey back and the thought of negotiating the bridge again, this time with darkness coming in. But once again, I found that my own petty problems and concerns here had been put firmly in perspective. I left full of admiration for Patience, and for those around her who, despite the raw deal they’ve been served, find the strength and the courage to keep on fighting to build themselves a better life. And all the time, still smiling. Alan grew up near Belfast, Northern Ireland. He studied French and Economics in Scotland, before taking an M.B.A from London Business School. 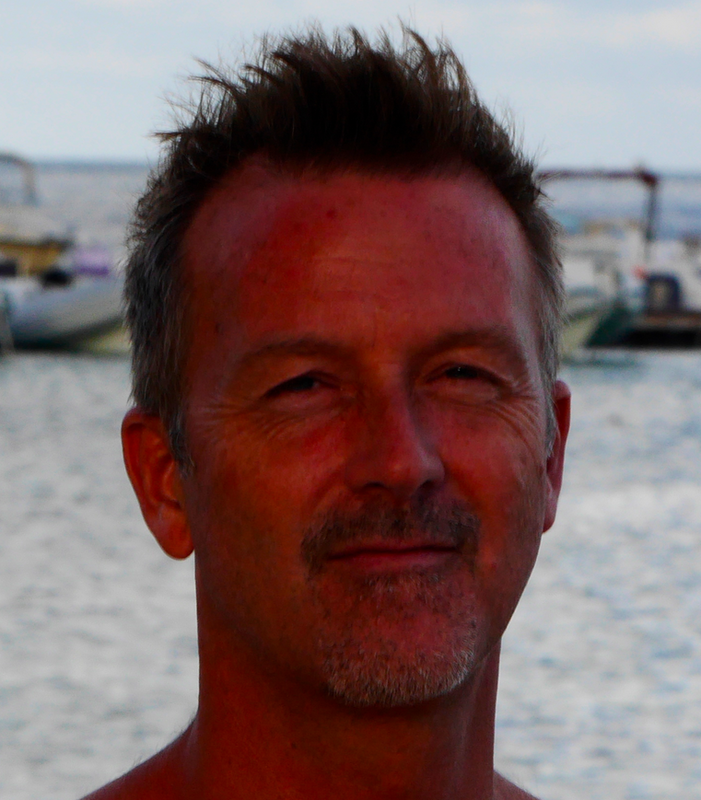 Alan’s career to date has been in finance and management consulting, focusing on programme management of major business change in U.K. and U.S. banking and consulting organisations. In 2014, Alan took a break from life in finance to devote some time to the world of development and social enterprise. Over the past year, he has had opportunities to work with ‘The Ethiopian Education Foundation’ (an organisation in Addis which supports gifted but financially deprived children through education), and with a number of Kiva’s partners in Zimbabwe and Kenya. These have included Camfed Zimbabwe, Hand in Hand Eastern Africa and most recently, ECLOF Kenya. Alan has been struck by the eagerness and passion with which many in deprived circumstances embrace opportunity. He has witnessed how it empowers innovative, hard-working and intelligent individuals to achieve their full potential, whilst maintaining dignity, pride and self-esteem. He is passionate about the role Kiva is playing in this, and is honoured to have the opportunity to be part of the Fellows programme.